Stonehenge, which is a few miles to the North of Salisbury, is one of the most famous prehistoric monuments in the world. The site of Stonehenge contains elements which are believed to date back to approximately 8000 BC. Construction of monuments at the site is believed to have begun around 3100 BC, with construction and reconstructions continuing until approximately 1600 BC. 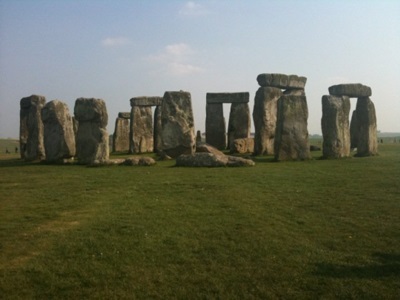 Since the 20th century, there has been considerable archaelogical research into the history of Stonehenge. Additionally, the surrounding landscape has also been restored to chalk grassland (with buildings, but not roads removed), and ideas have also been muted (but not as yet implemented) to move nearby roads, especially the A303, in order to improve the landscape and protect the monument. Stonehenge is today a legally protected ancient monument owned by the British Crown, and the site and its surroundings are also a UNESCO World Heritage Site. The site is managed by English heritage, and the surrounding area by the National Trust.